Inver Grove Heights/South Saint Paul – The River Heights Chamber of Commerce held it’s 29th Annual Small Business of the Year Award Luncheon & Trade Show on Thursday, April 12, 2018 at Southview Country Club in West St. Paul. Community leaders learned about local businesses at the trade show, learned about The Art of Ship Building (how to build effective and long-lasting ships: friendships, relationships, partnerships, sponsorships) from keynote speaker, Bob Schlichte, of Mille Lacs Corporate Ventures, celebrated the small business award finalists and heard first-hand who was awarded the 2018 Small Business of the Year! Roadware Incorporated is a family-owned business located in Bridgepoint in South St. Paul. They specialize in making and manufacturing polyurethanes for concrete repair for industrial and commercial purposes around the world. The Glewwe family started Roadware in 1994 in their garage, and now it’s an international business! Roadware enjoys taking an active role in groups they have a personal interest in throughout the community and the River Heights Chamber has been one constant since the beginning. Kelton Glewwe, VP of Marketing, stated in his acceptance speech, “when asked why we belong to the Chamber, I think it is all about the relationships we have… it’s about building the Chamber family we have, and it’s been really important to me. I’ve gotten so much out of the Chamber – The Chamber is a belief in commerce and business, and we all have a passion for business, so it’s really great to be a part of.” To learn more about the River Heights Chamber’s 2018 Small Business of the Year recipient, Roadware, Incorporated, please watch their video on the River Heights Chamber of Commerce’s YouTube channel at YouTube.com/riverheightschamber. The River Heights Chamber’s Small Business of the Year Award event was sponsored in-part by the event sponsor Town Square Television. Major sponsors included Waterous Company and Hardline Concrete & Masonry and LeVander, Gillen & Miller, Microtel Inn & Suites By Wyndham and Mississippi Pub were contributing sponsors. 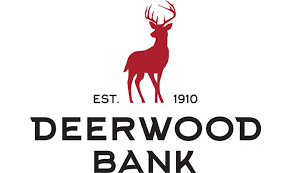 Special thanks to the trade show sponsors Deerwood Bank, Doody Cleaning Service and Good Samaritan Society of Inver Grove Heights! The River Heights Chamber of Commerce aggressively promotes the interests of the business communities of Inver Grove Heights and South St. Paul. The organization is volunteer-driven and strives to attract and retain businesses to keep the business community thriving. The River Heights Chamber continues to provide value-added opportunities for all members. 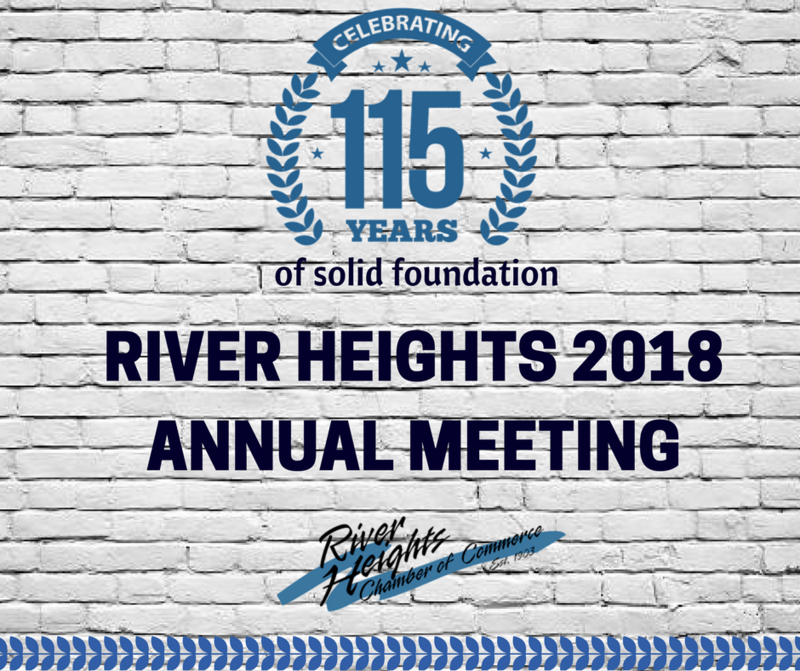 Visit our website www.riverheights.com to learn more! 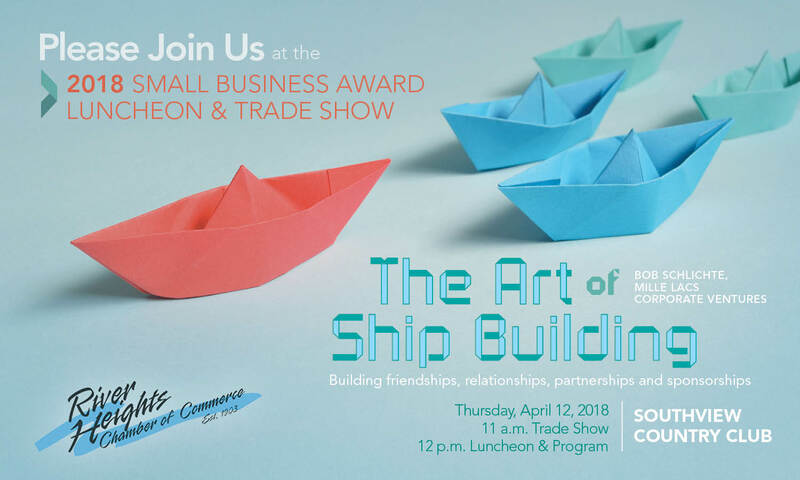 Inver Grove Heights/South St. Paul – The River Heights Chamber of Commerce would like to invite the business community to set sail with us and our Keynote Speaker, Bob Schlichte, from Mille Lacs Corporate Ventures, on The Art of Ship Building on Thursday, April 12, 2018 at the Small Business Award Luncheon & Trade Show at Southview Country Club in West St. Paul. Network with community businesses at the trade show at 11 a.m., followed by a luncheon program to see who will be recognized with the 2018 Small Business of the Year Award! This year is the 29th Anniversary of the River Heights Chamber Small Business of the Year Award. It is sponsored in-part by the event sponsor Town Square Television. Major sponsors include Waterous Company and Hardline Concrete & Masonry, and LeVander Gillen & Miller, Microtel Inn & Suites By Wyndham and Mississippi Pub are contributing sponsors. Special thanks to the trade show sponsors Deerwood Bank, Doody Cleaning Service and Good Samaritan Society of Inver Grove Heights! For more details about attending the Small Business Award Luncheon & Trade Show, visit www.riverheights.com/smallbusiness. To learn more about the Chamber’s award winner announced at the event, please watch their video on the River Heights Chamber of Commerce’s YouTube channel at YouTube.com/riverheightschamber following the event on April 12th. Inver Grove Heights/South Saint Paul (March 2018)– Over the last few years, the urban core centers of Minnesota have been the target for aggressive city ordinances by progressive advocacy groups that do not conform to state rules and regulations. Instead of introducing and passing legislative items at the federal and state branches of government, these groups have focused their policy efforts at local municipalities to pass ordinances. This movement began in New York and California to increase the minimum wage to $15.00 per hour. This effort, “Fight for $15,” became the launching pad to expand local wage increase ordinances along with additional workplace regulations such as scheduling, sick leave and safe leave. In 2015, Minneapolis was the first city in Minnesota to introduce and pass sick and safe leave regulations, and 15.00 per hour minimum wage without any carve-outs for tipped employees. Saint Paul has passed its own version of sick and safe regulations and is now considering a $15.00 minimum wage without any consideration for tipped employees. As the President of the River Heights Chamber of Commerce, a local Chamber that borders the urban core, I’m on the front lines to defend my business community and other Chambers of Commerce in the metro, regional marketplace. Patchwork regulations forced upon the business community is simply not good for our current commerce and certainly not helpful to attract new businesses to the region. Groups that are proposing these types of local ordinances have strategically targeted municipalities where they are politically aligned and can force these mandates without the proper scrutiny for the public and elected officials to consider. In November of 2017, the Minneapolis Star Tribune revealed that the city of Minneapolis lacks the funds to fully enforce the new labor laws that were passed. On a state level, a fiscal review and note are produced when new legislation is being introduced and debated. This helps in identifying what the impact will be to enforce the proposed law and what it will cost those who will be affected by it. Unfortunately, special interest groups are aware that local governments do not have the same review process and the taxpayer might only learn of the cost after the ordinance is changed, when it’s too late. Local chambers of commerce and municipalities need to be aware of this targeted effort and be prepared to have a thoughtful conversation in advance of proposals reaching our community. I plan to sit down with our local officials to begin these discussions and make sure all the information is considered before entertaining a special interest group from outside of our community’s plan to target our area and leave us to pick up the bill. Please contact me to share your thoughts on this issue by contacting the River Heights Chamber of Commerce at 651.451.2266. Jon Dietrich, of Hardline Concrete & Masonry, has been in the industry for over 20 years, and started Hardline over 13 years ago! Not only has Hardline been in business for over 13 years, they have been a part of the River Heights Chamber for 4 years. Hardline started as a sole proprietor in 2005, doing mainly commercial and industrial work. When incorporating in 2009, they shifted business to completing more residential and decorative work. Not only does Hardline Concrete & Masonry care about their customers’ needs they also care about their employees’ needs. Employee relations are important at Hardline. Every employee is treated like family. They know how hard the work can be. They put policies in place to keep their employees safe, as well as keep their customers safe and free of potential liability. Some policies they have implemented are a drug screening and zero tolerance drug policy, as well as a healthy work policy. Hardline appreciates the hard work done by employees so they offer job bonuses based on work expectations. They even offer full-time employees hour long massages ever 2 weeks! 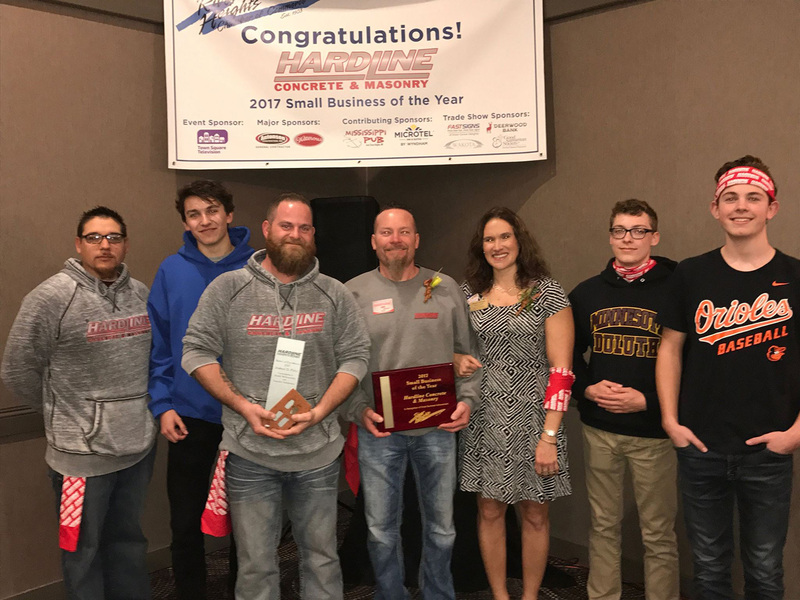 Hardline Concrete & Masonry believes in small businesses succeeding and has recommended five other sole proprietors, LLCs and corporations to join the River Heights Chamber of Commerce for continued success. 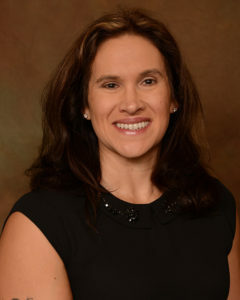 Brenda is very active in the River Heights Chamber of Commerce, currently serving as the 2018 Chair of the Board, and has served 1.5 years as the Ambassador chair, 1 year as Ambassador chair-elect and has been a Board member since 2015. Brenda also has served as a delegate for MN at the U.S. Chamber of Commerce Summit 2015, received the River Heights Chamber Marshall award during the 2016 membership drive and was a member of the South Metro Business PAC in 2016. When Hardline was asked about an impactful moment that they would consider their greatest win, Brenda said, “Being nominated for the River Heights Chamber’s Small Business of the Year Award, it was an honor and a huge win because being recognized by a group of your peers is a great feeling.” The River Heights Chamber was proud to honor Hardline with the award and is proud to have Hardline Concrete & Masonry as a dedicated member of the business community! Watch their Member Spotlight video here. BLOOMINGTON, Minn. — Harrison Smith is used to going full-throttle for four quarters, but on Tuesday night, the Vikings safety was part of the “halftime” show. 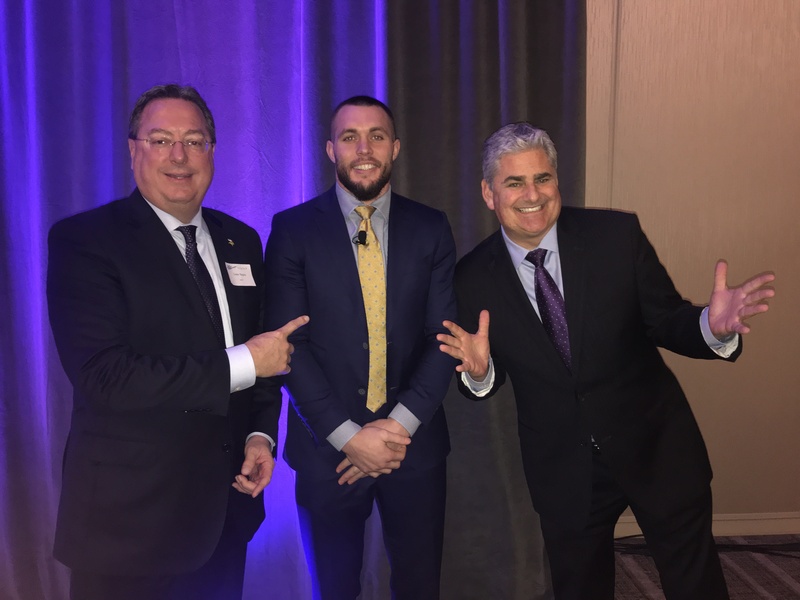 Smith joined “Voice of the Vikings” Paul Allen for an on-stage chat between meal courses as the River Heights Chamber of Commerce held a “Big Game Gala” at the JW Marriott Minneapolis Mall of America. As Allen was introducing Smith to the crowd, he mentioned fielding variations of the same question from guests about how what’s been a good season so far might conclude. “I have no idea where this ends, where this 10-2 is going to go,” said Allen, who is in his 16th year of covering the team. He said this year’s team is “unique” from any that he’s seen in more than a decade and a half. Allen expressed optimism and encouraged the enjoyment of every moment down the final stretch. “Just enjoy it every single week, and we’ll see where it goes,” Allen said. Smith, sharply dressed in a suit and tie, hopped up on the stage and immediately drew ribbing from Allen for not wearing socks, which Smith attributed to a fashion tip from fellow safety Andrew Sendejo. Smith said the Vikings haven’t looked beyond Sunday’s meeting with the Panthers and explained how the approach goes beyond the one-game-at-a-time cliché. “I think everyone remembers being pretty excited when we started 5-0 and ended up 8-8 last year, so that’s kind of a learning experience of what not to do,” Smith said. “I think that helps, as far as not getting ahead of ourselves. Smith said he thinks Xavier Rhodes is “the best” cornerback in the league. When asked by Allen if Sendejo is wild or calculated, he explained how the safety is using a “weird mix of both” successfully. Allen opened the session to questions from the crowd, and one guest asked his thoughts of U.S. Bank Stadium. “Normally players don’t get to see a lot of stadiums,” Smith said. “We just see the locker room and the field, but this one, I think, has honestly surpassed every player’s expectation. Last year, we kind of went in and played. It was awesome and loud, especially for the defense. It looks beautiful in the city, as well. “In the offseason, when we had more time to come back to events that were held there, we really appreciated from more of the fan side of it, how many different areas and things are there that can be put to use,” Smith continued. “I got to go to the X-Games and thought that was the coolest thing. Vikings Executive Vice President of Public Affairs Lester Bagley provided an update on the team’s future headquarters, the Twin Cities Orthopedics Performance Center, which is scheduled for completion on March 1. Bagley said 220 workers from 38 contractors, including 34 Minnesota-based companies, are working on the headquarters that also will be able to host youth and high school sports and other events. 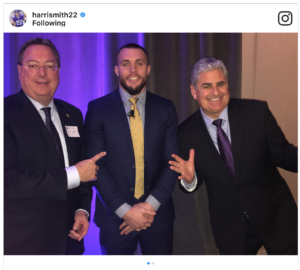 Smith, who attended the formal groundbreaking of TCO Performance Center in summer 2016, said he enjoyed learning about the site’s progress and chatting with guests about the Vikings season and Minnesota hosting Super Bowl LII in less than two months. Local band Highwood (featuring Jon Erickson, Kelton Glewwe, Steve Snelling, Steve Sorenson and Lee Swenson) concluded the evening with live music. Who’s On the River Heights Chamber’s Most Wanted List? How Can You Help? Click on the image to see the Top 10 Most Wanted Businesses in Inver Grove Heights and South St. Paul to apprehend during the River Heights Chamber’s Most Wanted Membership Campaign and learn the Top 5 Reasons to Join the Chamber! Have a hot lead? Report any info to the Chamber Tipline at 651.451.2266 ext. 1032 or email here! Read more about what businesses can get from a Chamber of Commerce here. The County is currently offering almost any business in Dakota County up to $10,000 plus technical assistance and training to employees, for companies to increase recycling, renovate their dumpster enclosures, purchase new bins, or begin collecting organics for composting. “I truly can’t think of a down-side to this grant,” says Cassandra Schueller, Recycling Coordinator for Dakota County. The County partnered with Waste Wise which is an organization that helps businesses reach their diversion goals. Show your stakeholders and community you’re committed to a healthier environment. Your business plays an important role in helping keep our air, water and land clean. 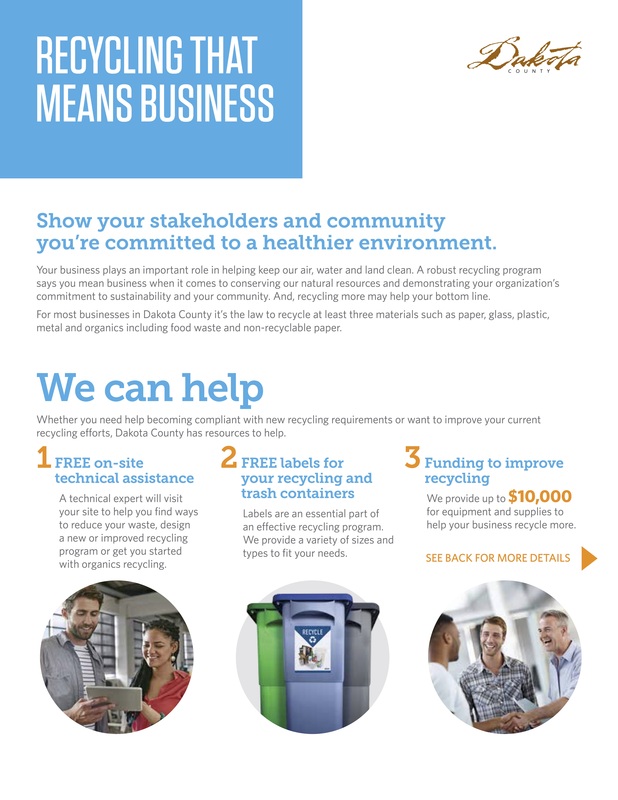 A robust recycling program says you mean business when it comes to conserving our natural resources and demonstrating your organization’s commitment to sustainability and your community. And, recycling more may help your bottom line. For most businesses in Dakota County it’s the law to recycle at least three materials such as paper, glass, plastic, metal and organics including food waste and non-recyclable paper. Public Comment Period for Dakota County’s Draft Solid Waste Master Plan: Now to Dec 1. Dakota County is developing its Solid Waste Master Plan to identify strategies to achieve state goals, including a 75 percent recycling rate by 2030. The County is accepting comments on the draft plan through December 1. The draft plan includes educational, financial and regulatory approaches to implement a variety of tactics and increases accountability among all stakeholders. 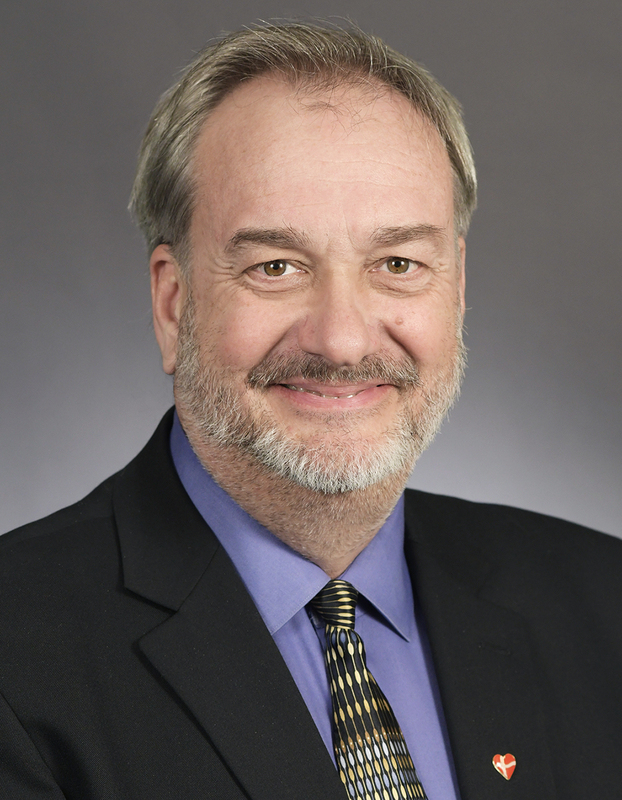 Strategies in the draft plan were developed based on feedback gathered during the County’s stakeholder engagement process, and incorporate required approaches identified in the Minnesota Pollution Control Agency’s Metropolitan Solid Waste Policy Plan. More than 1,500 residents, business and industry representatives, cities and schools officials, and other stakeholders provided input on solid waste issues and potential strategies over the past year.